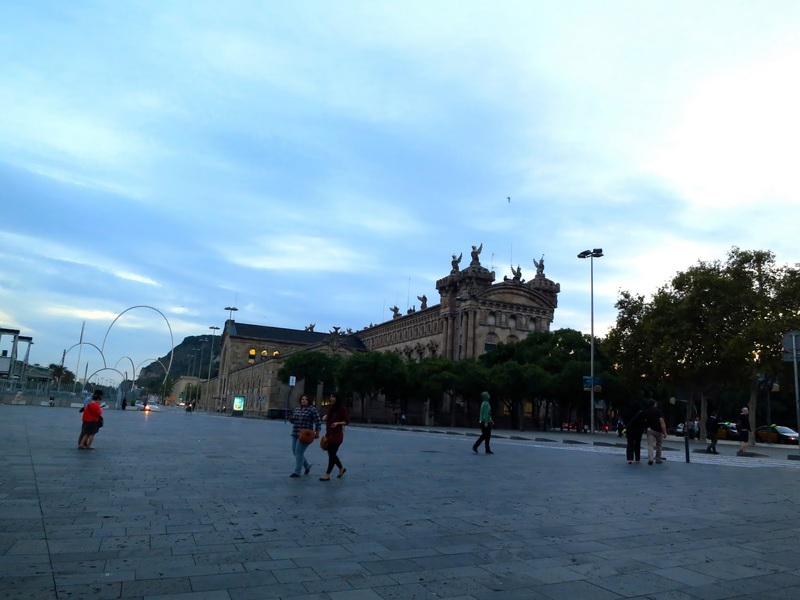 After Sagrada Familia, my cousin and I went around more of Barcelona, perhaps trying to make sense of the bizarre familiarity. Or has it only been an illusion? It might have been just because we were delirious after our overnight train from Paris. Of course, knowing how to count in Spanish by heart isn't something of great importance. 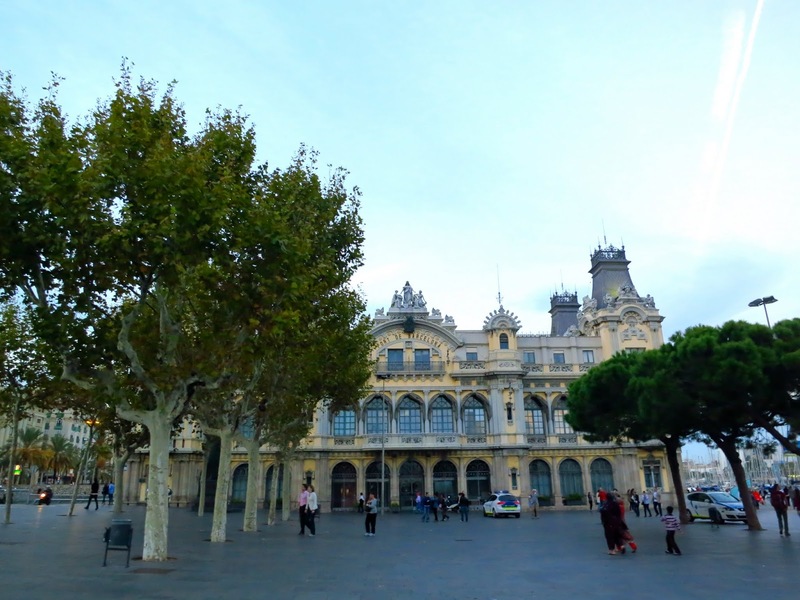 Besides, the Catalan language is more widely used here, being the capital of Catalonia. I don't know if at the end of this post, I will be able to figure out something. Or I won't. But maybe, it's already irrelevant, now that this Barcelona visit already happened over a year ago! I think my backlogs are chasing me like a mad man. 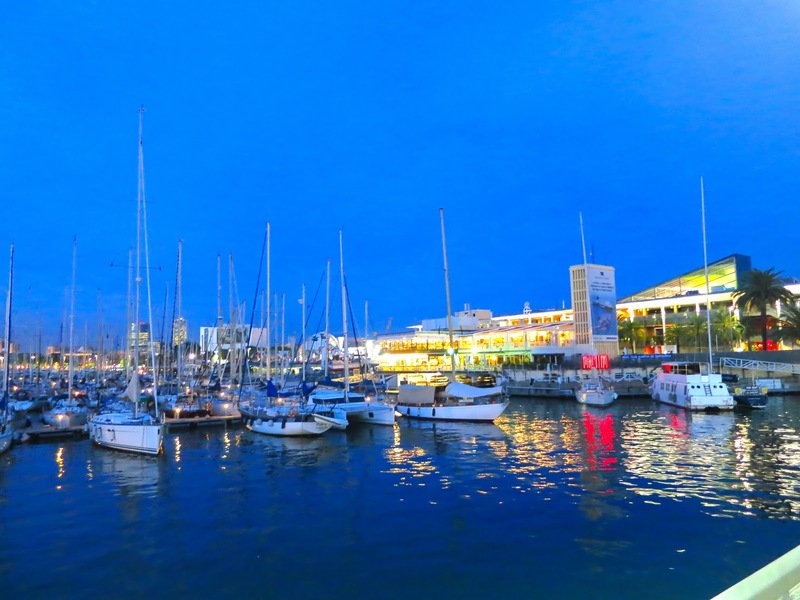 Before this imaginary mad man catches up with me, here are photos of the marina during our first dusk in Barcelona. 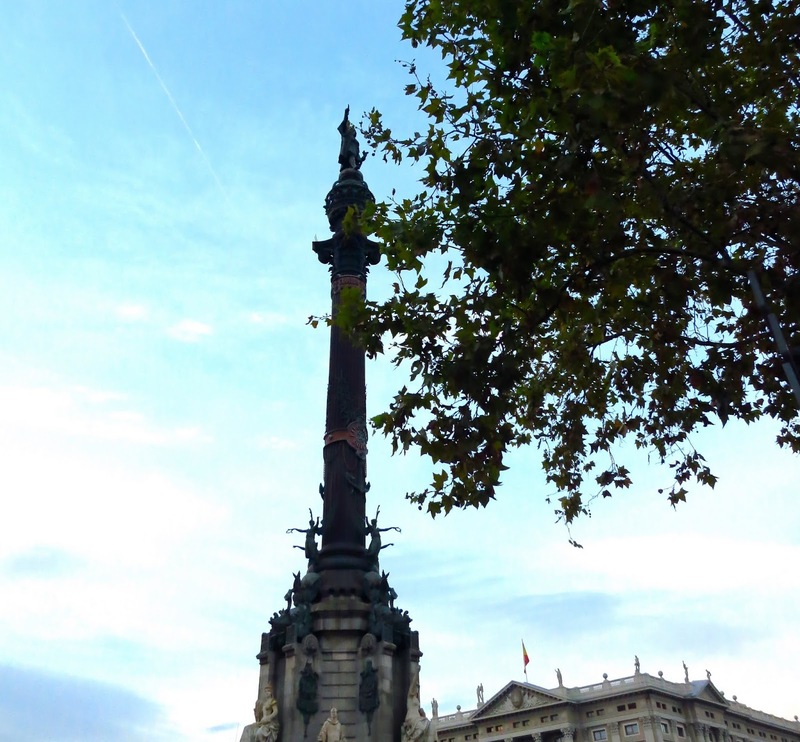 This monument is dedicated to Christopher Columbus, for his expeditions to the Americas. At this point, you can already feel the salty breeze coming from the marina. 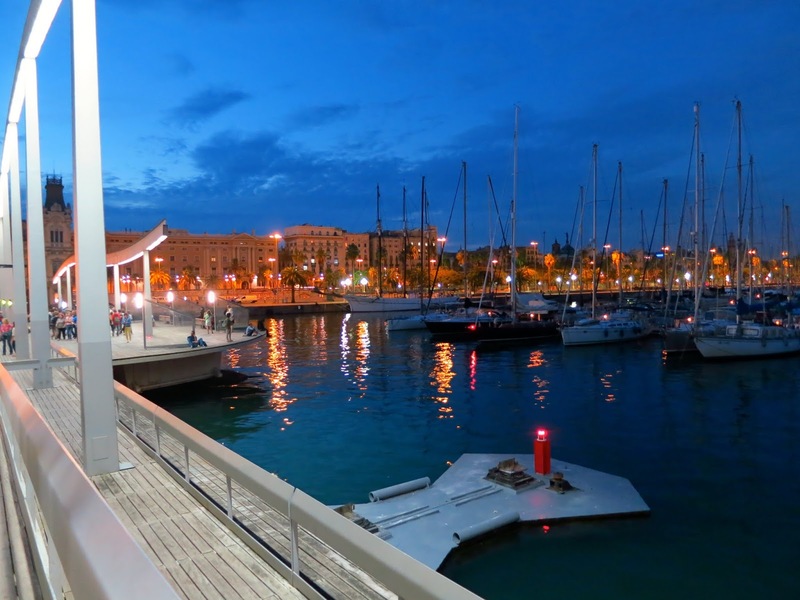 Barcelona is a major port city in the Mediterranean and its prime significance in Europe goes back to centuries, which remains up to this day. According to their official website, they have been recently awarded as the third most productive port in Europe. 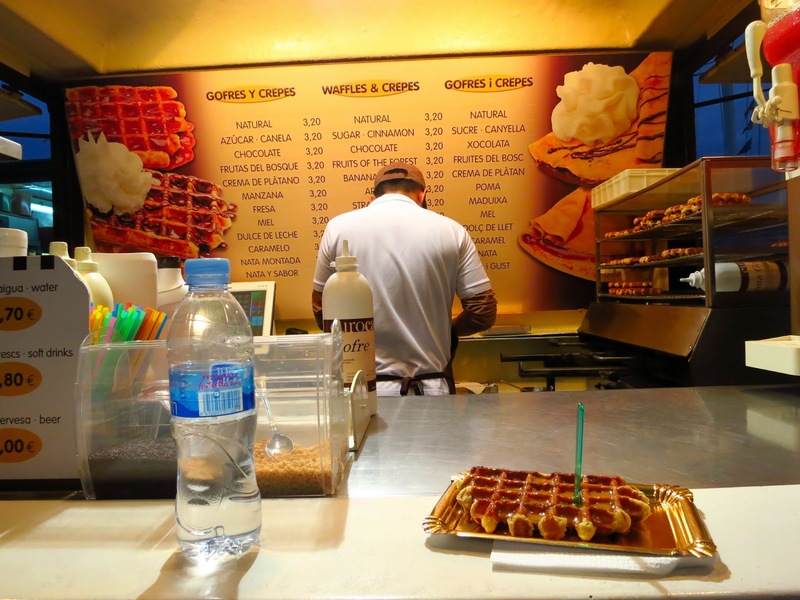 We got hungry and this waffle stand favorably stopped us in our tracks. Ordering was made easier when we came to know the attendants were kababayans. So yeah, how about that for something familiar? The coolness of the sea breeze prompted us to tarry, as we take in the moment in watching the promenade unfolded from day to night. This, while eating our sugary waffles. Nothing could ever top that. 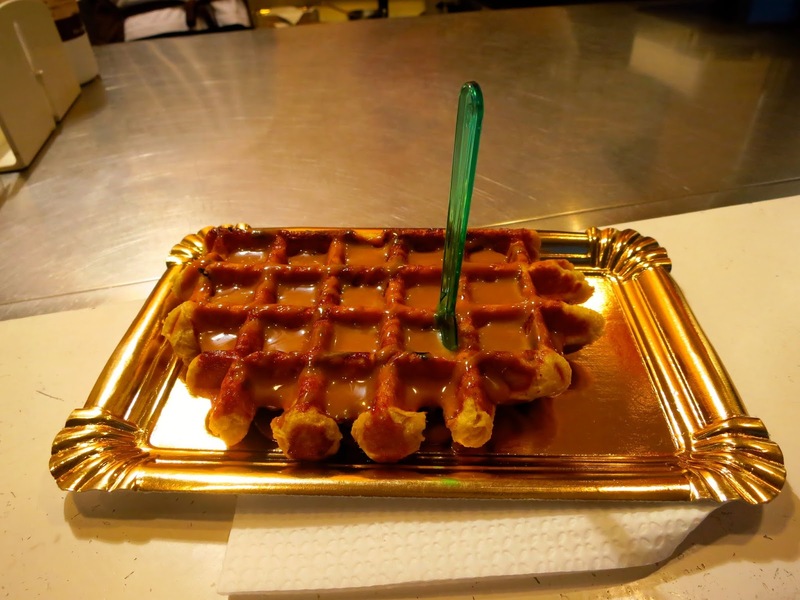 The sugar high made me suddenly think of how our three days in Europe had been so far. Our days that were packed with new discoveries and unforgettable experiences. I got nothing but gratitude for having this grand opportunity to be able to do this. Me, who hails from a small and remote town, unheard of by the world. The little girl who once dreamt of faraway places, has finally stepped into the world, eager to gain lasting memories, which she brings back to her own tiny corner. 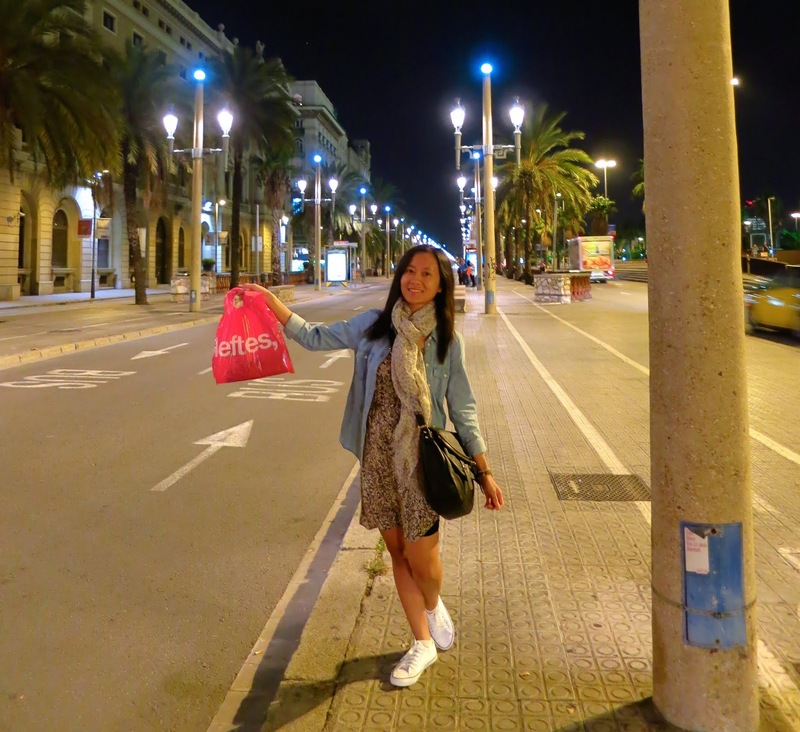 Then, we capped our night with a dinner by the bar along La Rambla. As for the familiarity, I'm not sure if it's because Barcelona looks like a colossal version of the few remaining colonial structures left in the Philippines. Or the quick conversation we had earlier with our kababayans. But whatever, one thing was sure. We would definitely be making most out of the couple of days we were left with in this sunny city which somehow felt like home.